Heefy has been having persistent aphid issues. Dennish was recommending a pesticide to help. I think it's a good time to talk about how to use pesticides and the benefits and problems that can result. Do you agree? provado is the one to use, ive had several attacks fro them so far. I'm not against all pesticides per se and certainly for those growing as a business it's probably essential. 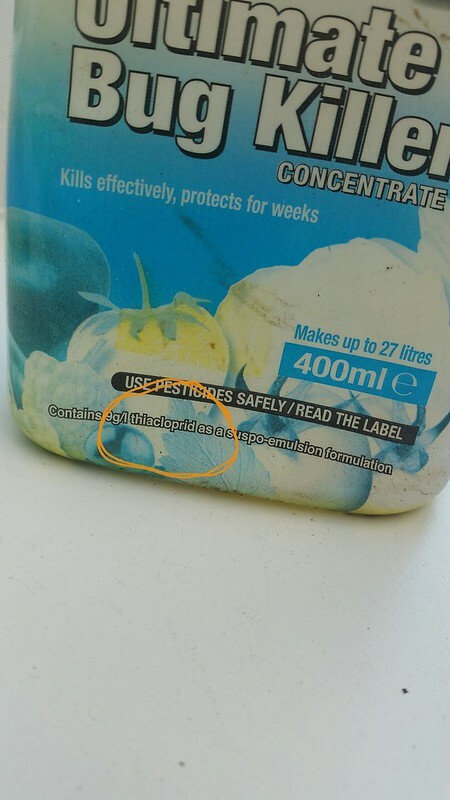 What I mean by that is, if I'm buying plug or potted plants then I wouldn't expect them to have any bugs on them, and it must be very hard to ensure that without chemicals. However, I'm growing for fun and so can take a more relaxed approach, although it doesn't feel like it sometimes. I'd rather not use toxic chemicals on my food crops although I am using chemical fertilisers. So currently I'm relying on ladybirds. Last year when I ordered them, I had a severe infestation but only a few plants, so a few dozen ladybird larvae completely cleared the infestation and the plants were clear for some months. I suspect some aphids must have lain dormant in the overwintering plants because when the lush new growth appeared, so did the aphids. This year I've got many more plants and the ladybird population is too small to deal with it. But in combination with manually removing the ones I can see, some kind of balance is maintained. Today two pairs of ladybirds were playing piggyback so hopefully the population of predators will increase and the aphids decrease. 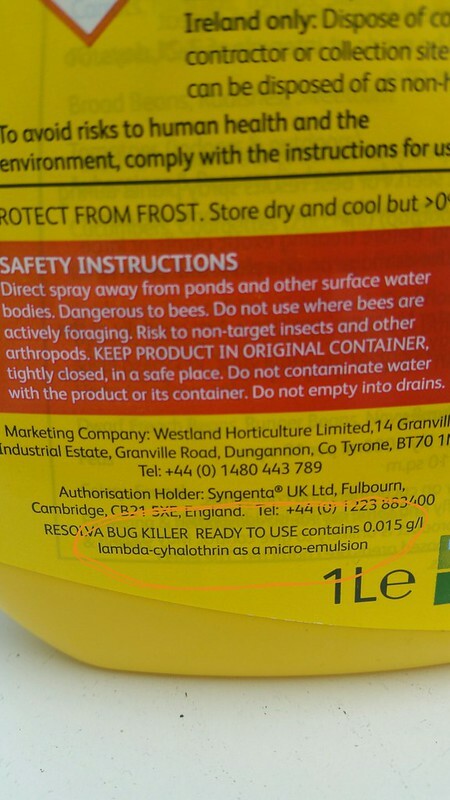 If not, then I will have to order more ladybird larvae. I use pyrethrum for my aphid and other bug problems. 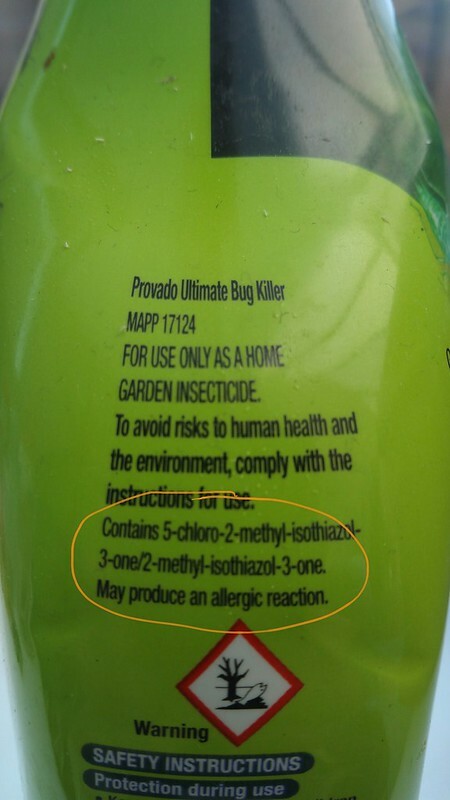 it's natural but unfortunately does also take out the beneficial bugs - but it works. the chilli/dishwashing liquid/garlic mix in a spray bottle is good too. mix up a batch and keep it handy. I completely understand your approach Mitzi and in your circumstance I'd probably favour your approach. I've also been and seen others be wiped out by aphid infestations and it can be hard to treat in a full greenhouse in high season. Where did you buy your ladybirds? Were they different to normal ones? I might think about getting some encarsia formosa parasitic wasps but only if I can make up some mesh screens for the door and window in the greenhouse. Which Provado are you using Gary? I've had this and trying to control whitefly and it's nigh on useless. I think I need to find some pyrethrum Mark. I'm very restricted in what I can use on plants in the aquaponic growbed and I've got the first aphids and whitefly already. I've been largely aphid free for longer than I could ever hope for but that time is now over. I've tried the current generation Provado that provided imperceptible benefit on whitefly. 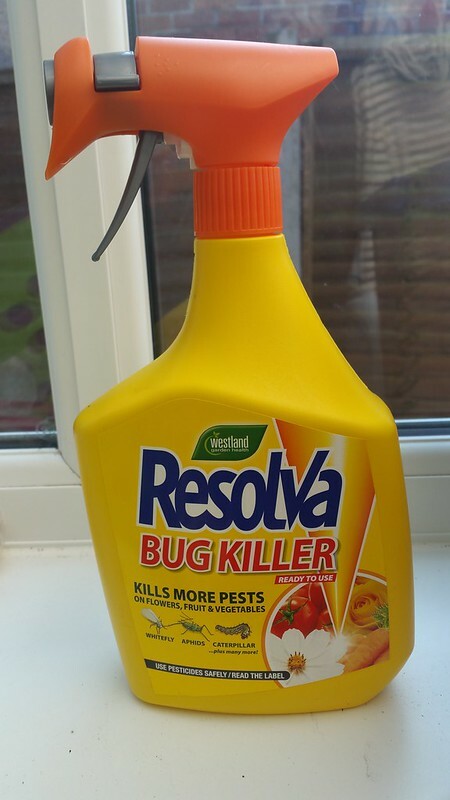 I've also tried Resolva. This seems to have had no effect at all. The whitefly population has grown appreciably since using it. In the back of the shed I've found an old bottle of Provado concentrate that contains Thiacloprid. I'll give this a try to get on top of the whitefly infestation and the aphids that have definitely arrived. 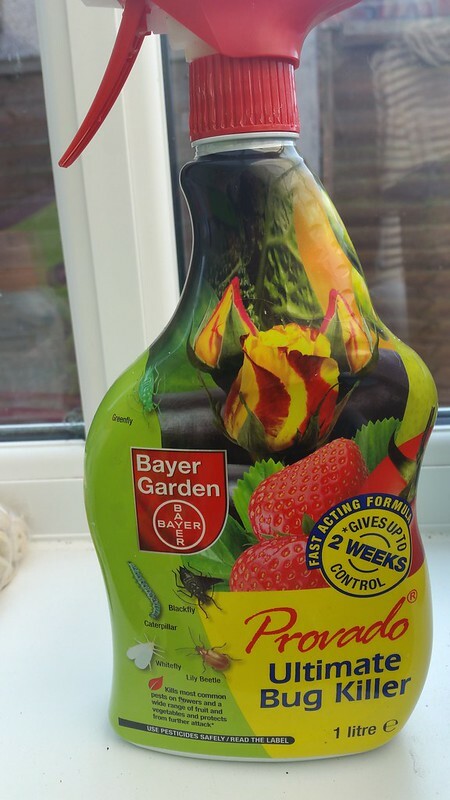 If I can get the populations under control, I'd like to have a pesticide free greenhouse at home using ladybirds for greenfly and wasps for the whitefly control..
not sure which provado ive got i'll check when i get home, i think home bargains do an organic bug spray but not tried it. I bought my ladybird larvae from greengardener.co.uk. Not cheap but they had a promotion on at the time. They are a native species so it's fine to release them outside, which is what I did last year. I've got some old Provado ready to rumble... No sign of the green scourge as yet. I'll also start weekly applications of SB Invigorater soon too, not sure how effective that really is but think it helps prevent serious outbreaks and lessens the need to reach for the nuke button.